Check out WSU Veterinary Medicine Extension for information, Vet newsletters, and other useful links. Frank Hendrix, is an experienced, senior WSU faculty member. Prior to being hired by WSU, he was a successful farmer/rancher, manager, consultant and national award winner in soil and natural resource conservation implementation. He has earned tenure and E-4 (equivalent to professor) status at WSU. 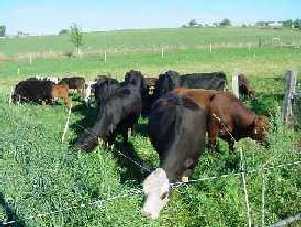 Frank specializes in animal agriculture, applied genetics, animal sciences, irrigated forage production, managed intensive grazing and other grazing systems, range and riparian management. He works with adult producers with operations of all sizes. He assists with technical support for youth and 4-H.
Frank is an education and science adviser for Yakima County Cattlemen’s Association, Washington Cattlemen’s Association, Yakima County Farm Bureau, Yakima Valley Sheep Producers, Yakima County Government, Yakama Indian Nation and the Bureau of Indian Affairs. He is an elected member of the Board of Supervisors for North Yakima Conservation District, which is the registered natural resource Coordination Entity of the region. He is the secretary / treasurer of the Central Washington Resource Conservation and Development Council. The impacts of Hendrix’s programming include the improvement of animal agriculture and the enhancement of economic opportunities of all agricultural enterprises while protecting Washington’s fish, wildlife and natural resources. For more information on livestock care and food animal production, see http://animalag.wsu.edu, or call Frank at 509-574-1600.